Colin's eldest son 2012. Will Firth, born 1990. He's the 1 dressed in blue. 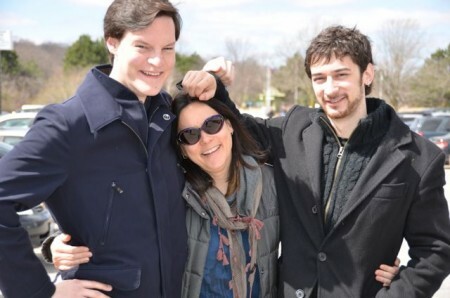 He's 6'5" tall & studying to become an actor (w his mom & half bro). Wallpaper and background images in the Colin Firth club tagged: colin firth valmont bridget jones's diary love actually will firth children child son sons.